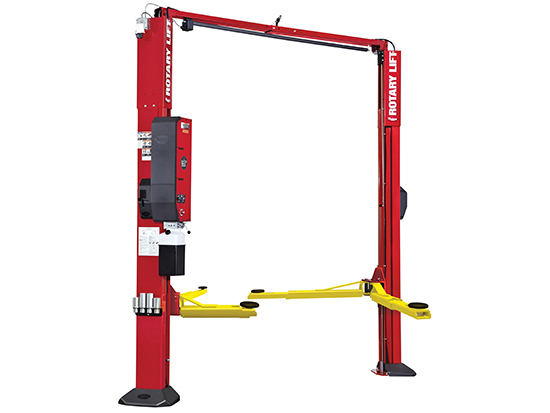 Two-Post Asymmetric Lift with TRIO arms, flip-up adapters, frame contact, Shockwave equipped. 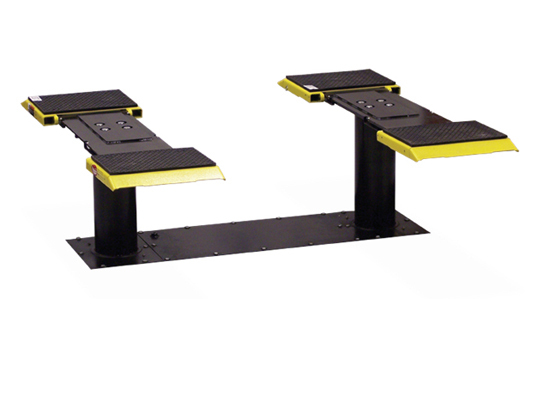 Flip-up adapters, provide 3 positions to reach a variety of lift points. 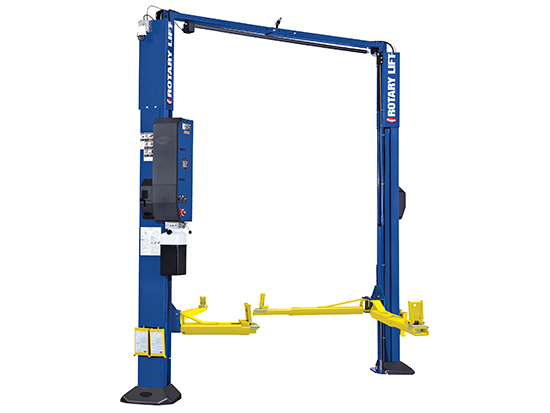 Asymmetric lift design, featuring factory-rotated columns to maximize door-opening clearance for passenger cars. Shockwave equipped, patent pending DC power. 2xï¿½s faster rise and descent. Spotline motion-activated laser assists with spotting vehicle right the first time. 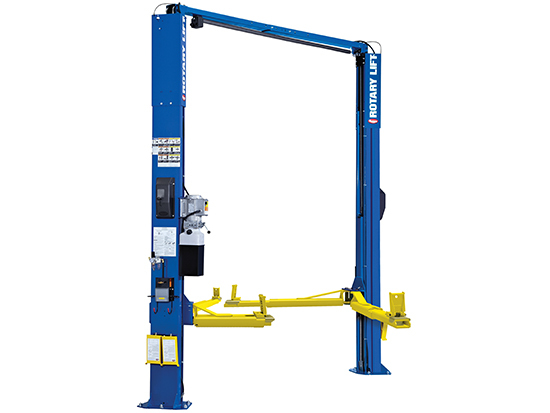 Rotary designs and builds our own power units instead of using third party power units for universal applications. High-pressure, full-stroke cylinders in both columns.